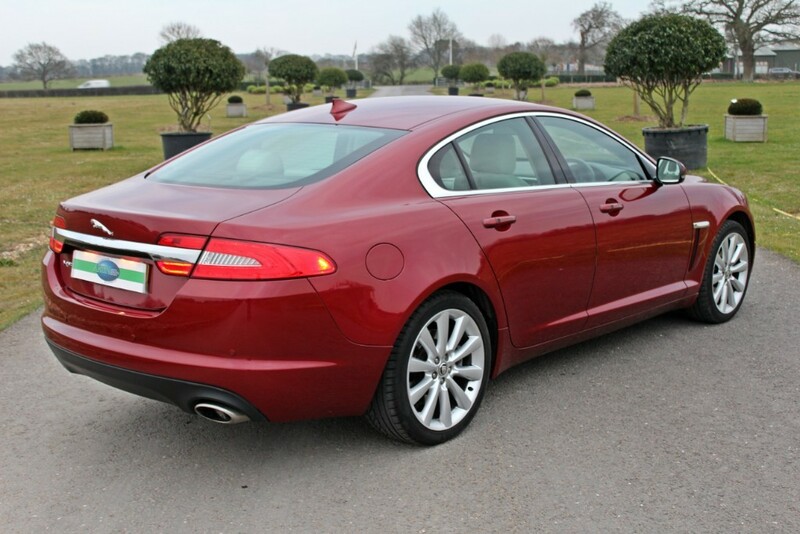 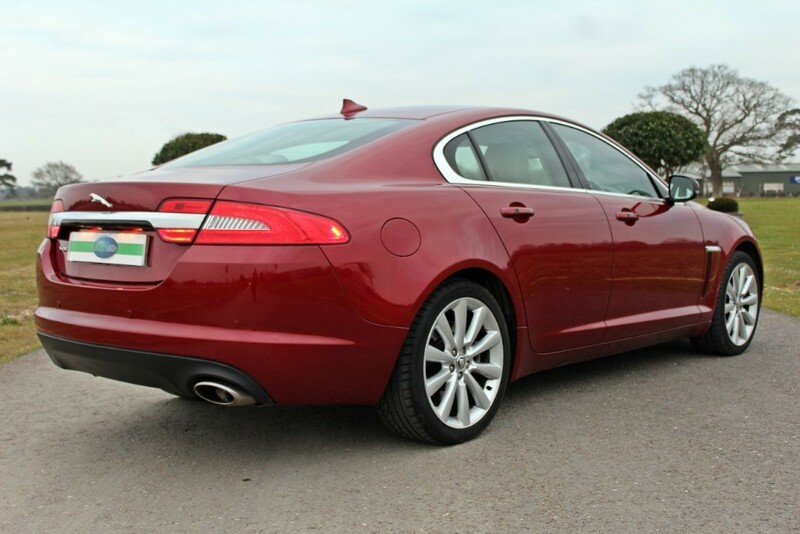 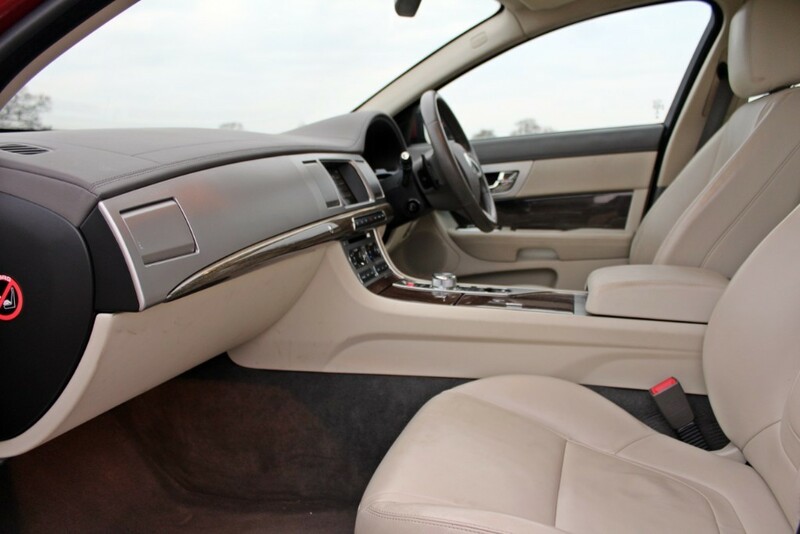 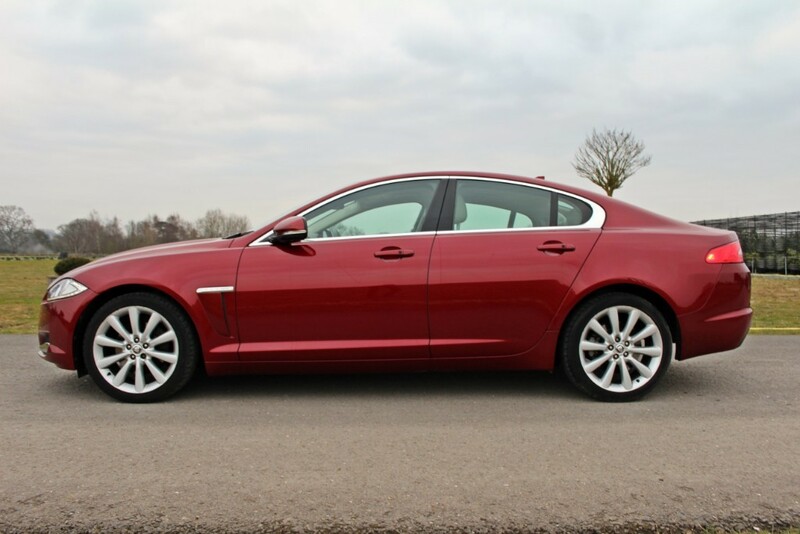 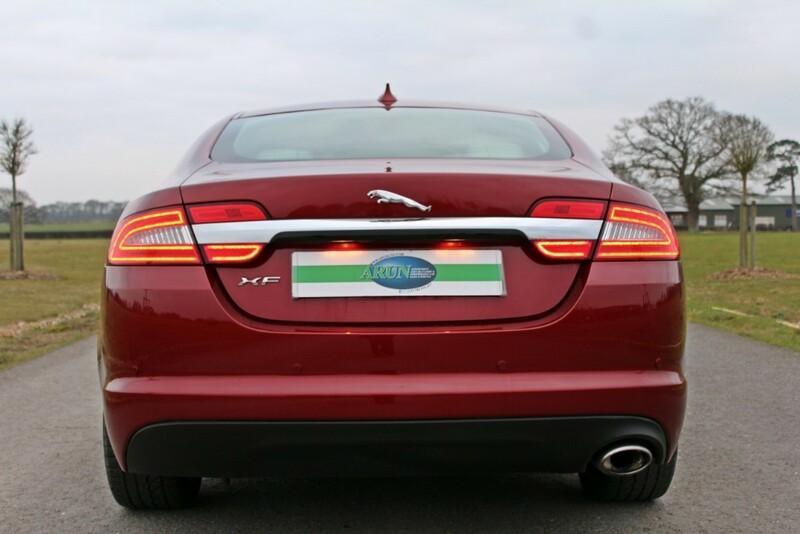 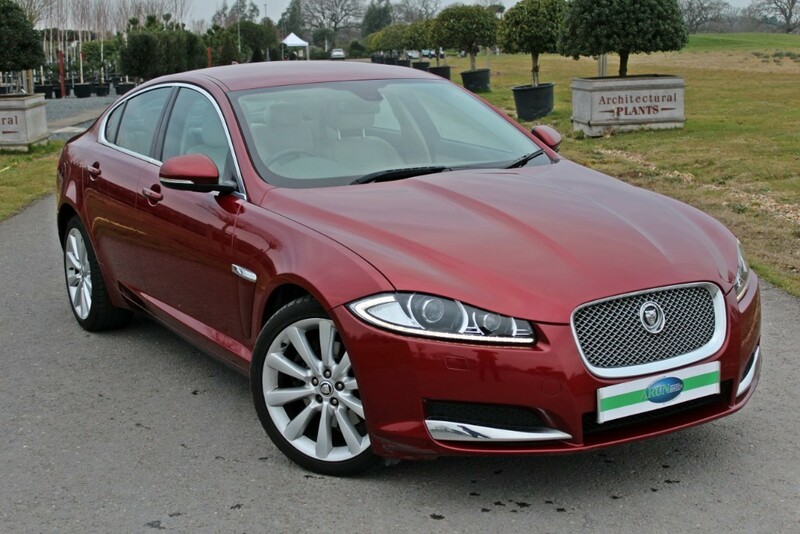 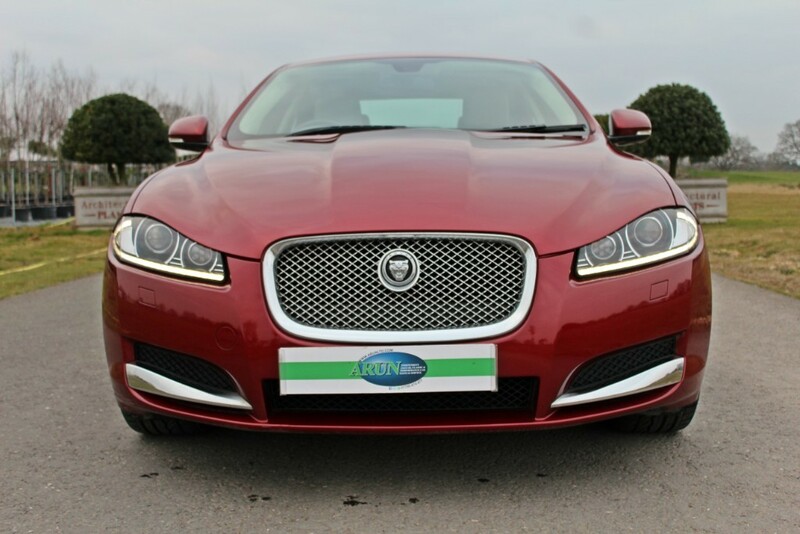 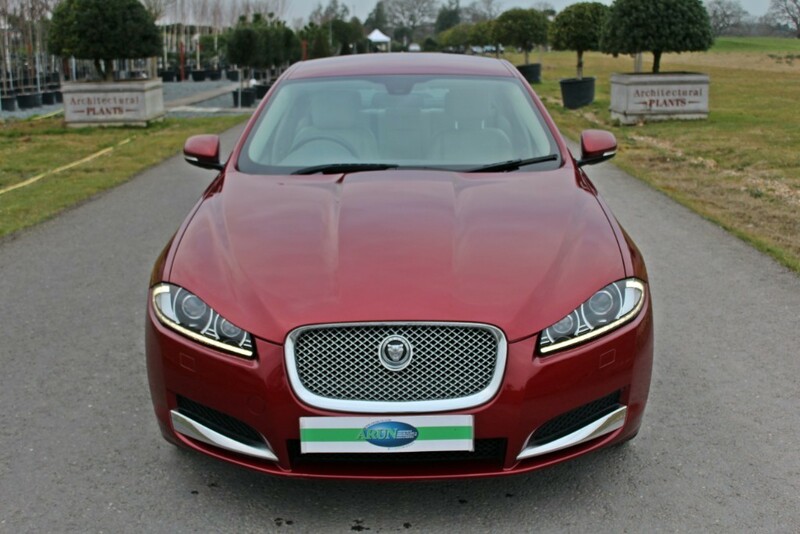 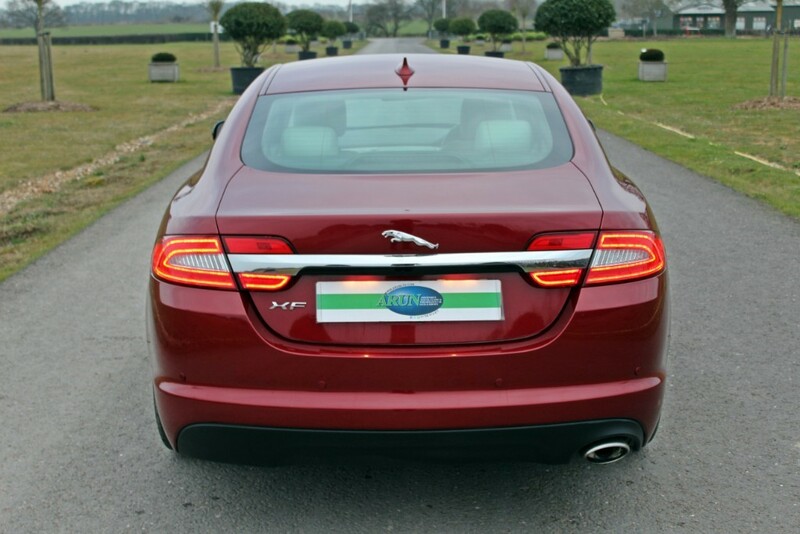 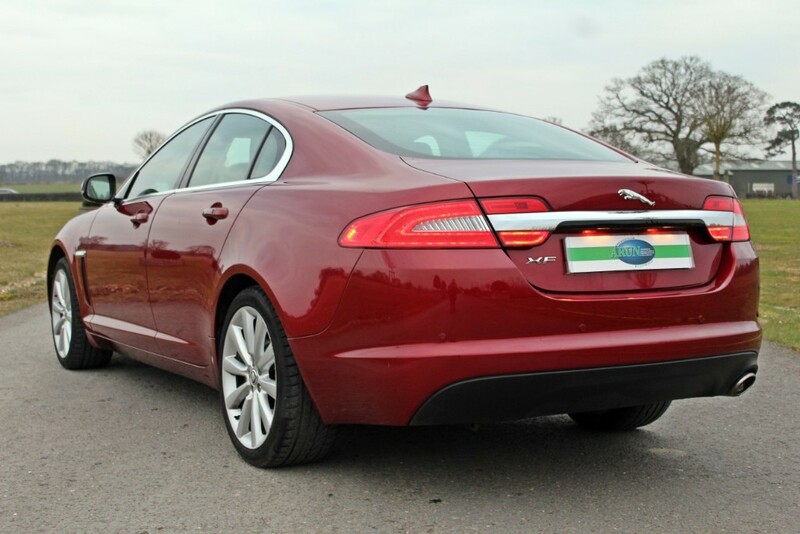 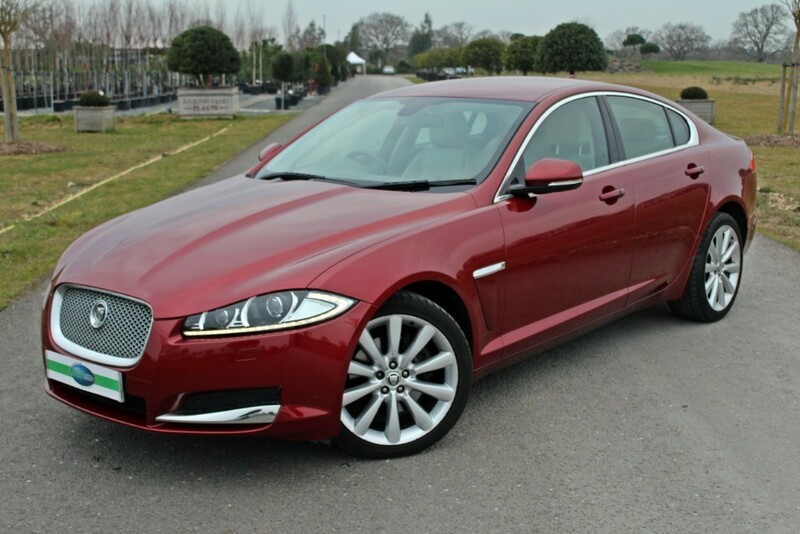 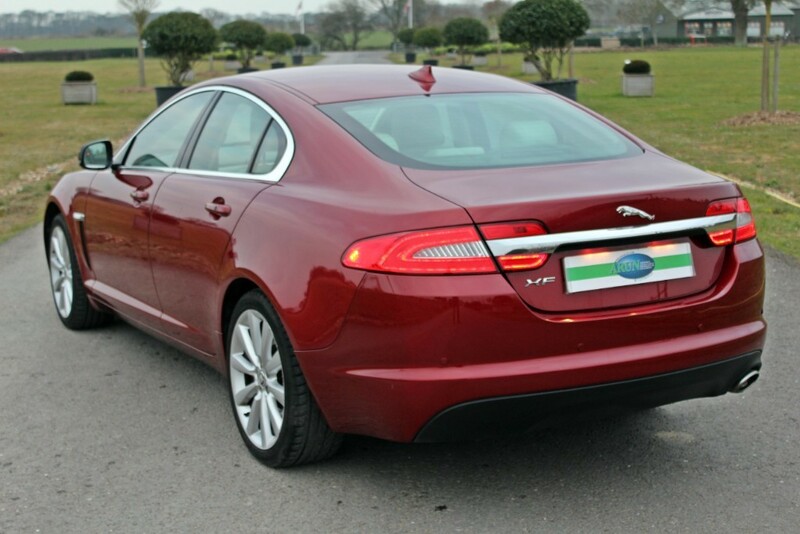 Being the 2013 Model Year, this XF benefits from having the facelifted front incorporating headlights with LED running lights. 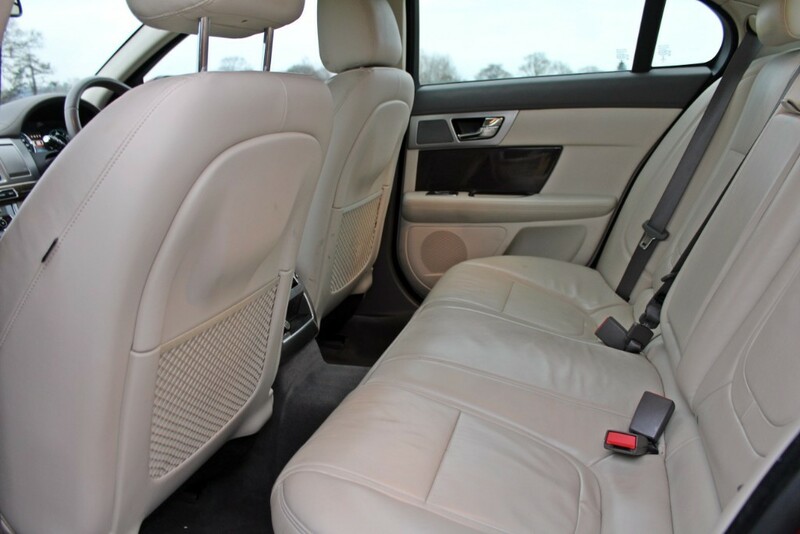 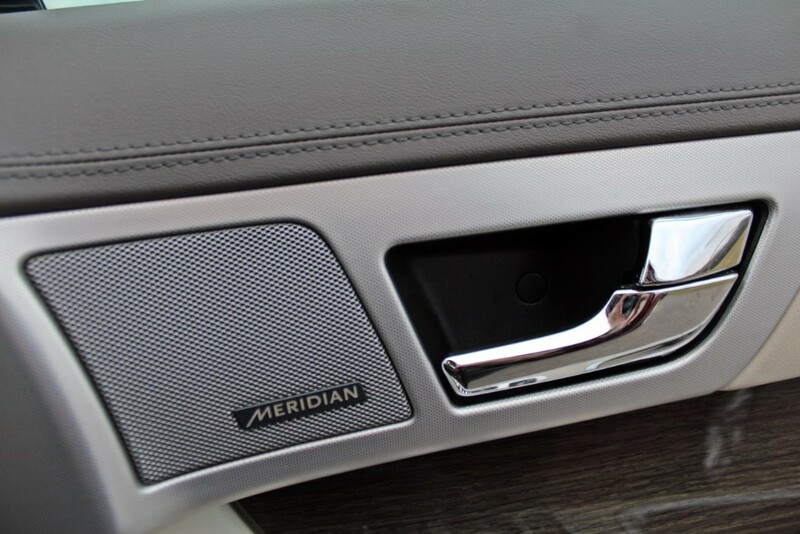 It is a Premium Luxury model so specification levels are high and include 19" Alloys, DAB radio, Xenon headlights, Blind Spot Monitoring System and much more. 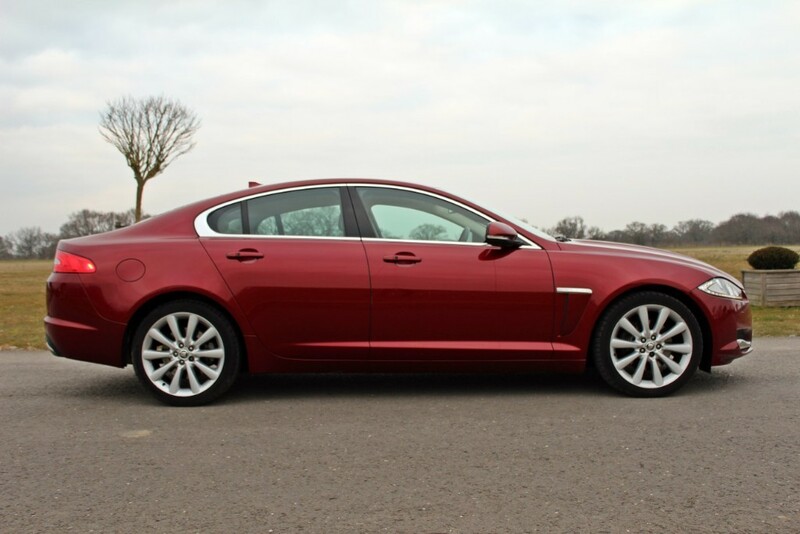 This 2 owner car has been well looked after with 5 stamps in the service booklet despite its meagre 35,400 miles showing on the odometer. 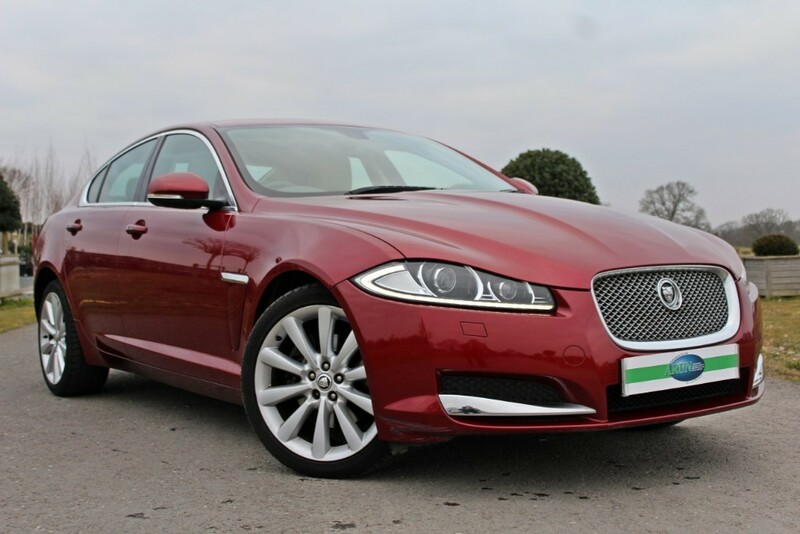 It will be freshly serviced and given a new MOT prior to collection, will be fully inspected and come with a 6 month Warranty. 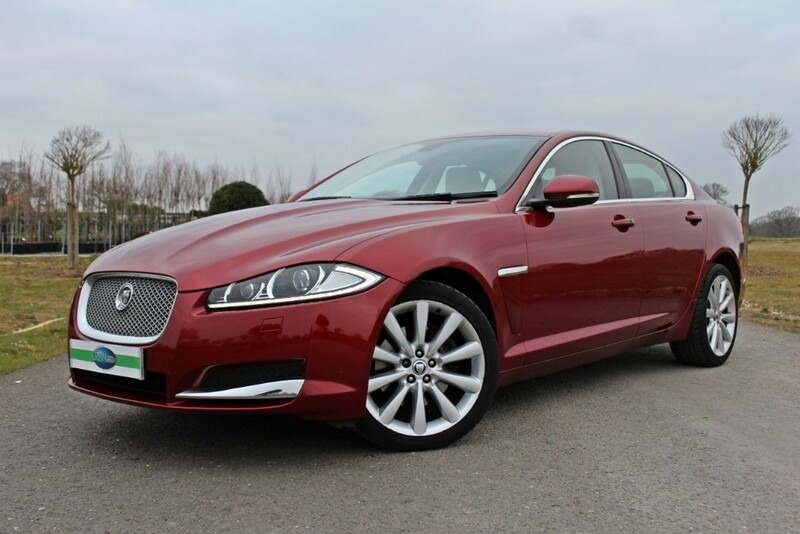 With so many Grey, Black and Silver cars on the market, this handsome saloon really stands out in Carnelian Red with Contrasting Ivory Leather.